Calcium chlorides is used as accelerator in hydration process of cement, leading to quick set of concrete and to get high initial strength concrete. Maximum permissible limit of addition of calcium chloride is 2% in flake form. Calcium chloride is available as pellets or other granules, flakes, or in solution form. 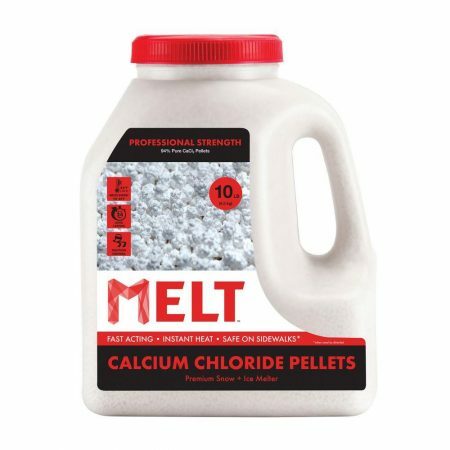 The regular flake form contains a minimum of 77 percent calcium chloride and the pellet and other granular forms a minimum of 94 percent. As all forms of calcium chloride are soluble in water, it is recommended to use it in solution form. Care must be taken that the solution is not brought in contact with the cement directly, as this leads to quick set of cement. So it is recommended to be diluted in water and mixed with aggregate. As calcium chloride is majorly used as a accelerator in concrete, it significantly reduces both initial and final setting time of concrete.It is majorly used in the low temperatures as it permits quicker finishing and earlier use of slabs. But the use of this accelerator is not recommended in hot weather as it sets the concrete very rapidly, making it difficult to place and finish the concrete. Both CSA A266.2-1973 and ASTM C494-1971 standards require that with calcium chloride the initial setting time should occur at least 1 hour earlier (but no more than 3 hours [CSA] or 3½ hours [ASTM]) with respect to the reference concrete. 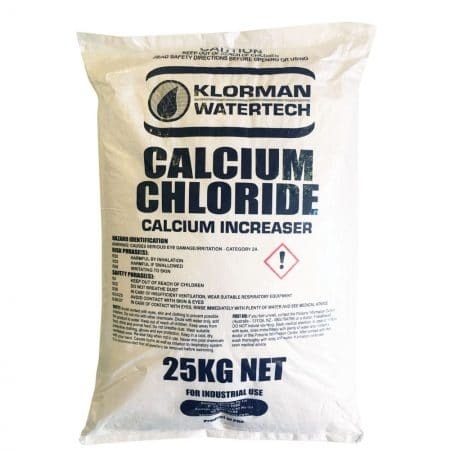 Calcium chloride does not significantly reduce the water required to produce a given slump and this factor is not expected to play any dominant role in the strengthening of concrete. As it is an accelerator, it may tend to induce early stiffening and thus reduce bleeding. Use of calcium chloride in the concrete doesn’t cause entrainment of air, however when used with air entraining agents, it facilitates in producing more air content in less quantity of air entraining agent. Concrete containing calcium chloride hardens rapidly and develops early resistance to damage by freezing and thawing. This may be important in winter concreting when the material can be subjected to early application of de-icing salts. At later ages the matured concrete containing calcium chloride may be less resistant to frost attack. Calcium chloride is known to increase drying shrinkage, the magnitude depending on the amount of calcium chloride added, the type of cement, the period of curing, and environmental conditions. Due to use of calcium chloride in concrete, a whitish deposit is formed on the cured concrete surface in some instances. But under normal conditions of exposure, however, it attracts water and is not likely to cause efflorescence as other salts do. These whitish deposits is not soluble in water , so dilute hydrochloric acid is used to remove it. Calcium chloride has an deteriorational effect on the concrete when it is exposed to solutions of sulphates. The sulphates react with calcium and aluminium ions in the cement paste to form calcium sulphate and calcium sulphoaluminate hydrates, accounting for disruption of the concrete. If calcium chloride is present, there is evidence that resistance to sulphate attack is reduced. Heat of hydration is at faster rate and the hydration process is more rapid in the presence of calcium chloride, particularly in the first 10 to 12 hours. The total amount developed is not much changed, but its early development may be useful in winter concreting. When the high alkali cement is used with certain types of aggregates, deterioration of concrete occurs due to aggregate swelling. It is known that the calcium chloride in concrete aggravates the alkali-aggregate reaction. If calcium chloride has to be used in such situations expansion may be controlled by the use of low alkali cement, pozzolan or a non-reactive aggregate. In concrete containing calcium chloride, this stable film that protects the steel from external environment cannot be maintained with the same efficiency and a potential for corrosion exists. As calcium chloride is used as accelerator in the concrete, it increases the hardening rate of the concrete. ASTM C-494 requires an increase of at least 125 per cent over the control concrete at 3 days, but at 6 months or one year the requirement is only 90 per cent of the control specimen. In comparison with a conventional concrete and calcium chloride concrete, strength gain may vary between 30 and 100 per cent in the first three days. Amounts of calcium chloride in excess of accepted standards cause lower strengths. For the same amount of chloride strength increases are larger for richer mixes. The effect of calcium chloride on the percentage gain in strength is particularly significant at lower temperatures. Flexural strength does not increase so much as compressive strength with addition of calcium chloride. ASTM C-494 requires that flexural strength at 3 days should be at least 110 per cent of the control specimen. After longer periods of curing the flexural strength of concrete containing calcium chloride may even be lower than that of the control specimen. Addition of calcium chloride in concrete increases the shrinkage of concrete, which in turn increases the creep in the concrete. Beneficial when used with fly ash.